Now that you've created your telemedicine appointment type, it's time to schedule a telemedicine appointment in athena! Search for the patient in the upper right search bar. 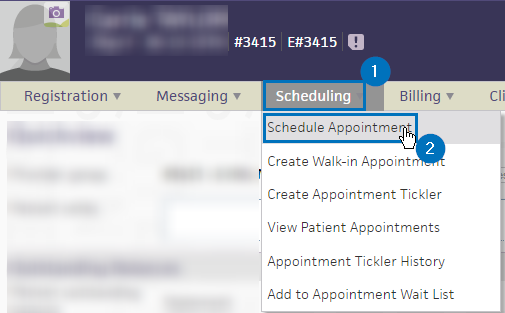 Once on the patient page, click "Scheduling", then "Schedule Appointment". On the "-any appointment type-" dropdown, click it and select "Chiron Telemedicine". Using the calendar, pick the date you wish to schedule the patient. Then, click "Create New Slot". Enter the appointment details. The Chiron Health platform only requires the "Appointment type" to be set to Chiron Telemedicine and that the provider already be set up on the telemedicine platform. 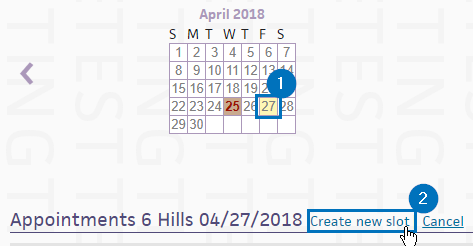 Click "Add Appointment" when completed.